This introductory dive experience allows a non certified diver to experience the thrill of open water diving in just 4 hours. First hour session teaches basic theory and introduces the student to scuba dive equipment. The second hour is a pool-session that familiarizes the student with equipment and techniques in confined water environment. 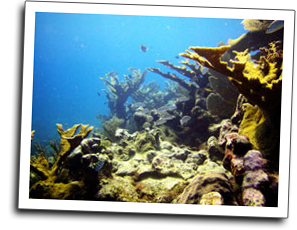 Final two hours include a boat ride to a shallow reef and a scuba dive in 30 to 40 feet of water to experience the amazing underwater world of the beautiful Mexican Caribbean. Although there are no certification attached to the dive experience, the diver may continue to dive with Aquatech for up to two weeks with no additional training. This experience Includes: Instruction, Tanks, Fins, Mask, Wetsuit, Weights, Two regulators (regulator and octopus), BCD, boat ride, and open water reef dive.